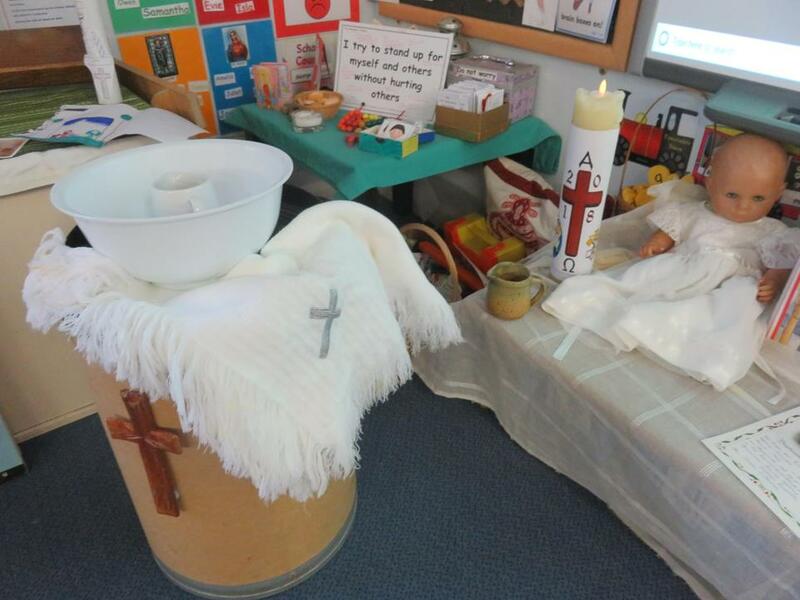 We have been finding out about the Signs and Symbols of baptism in our 'Come and See' work. 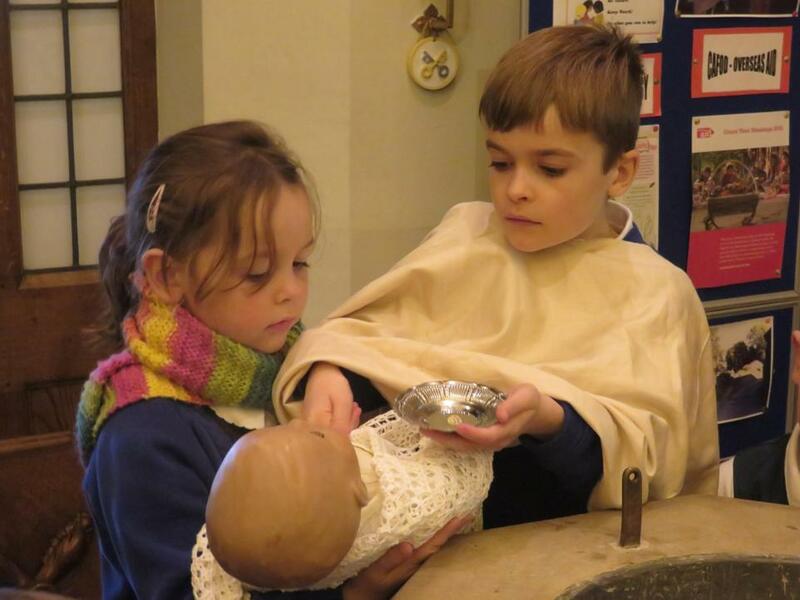 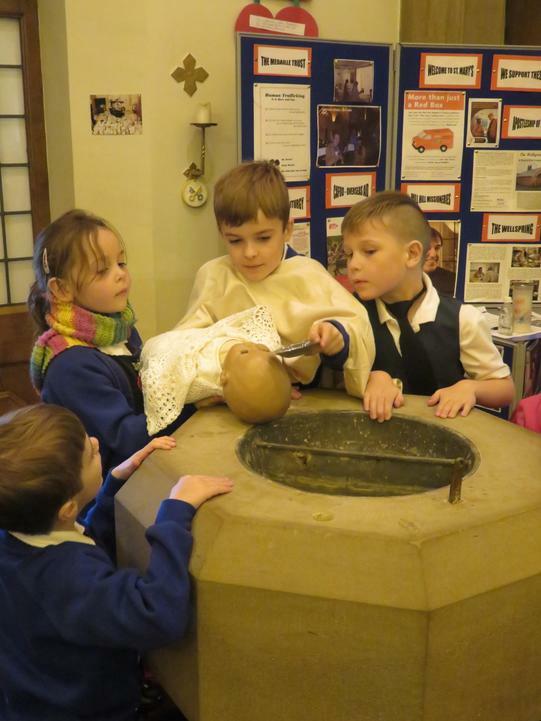 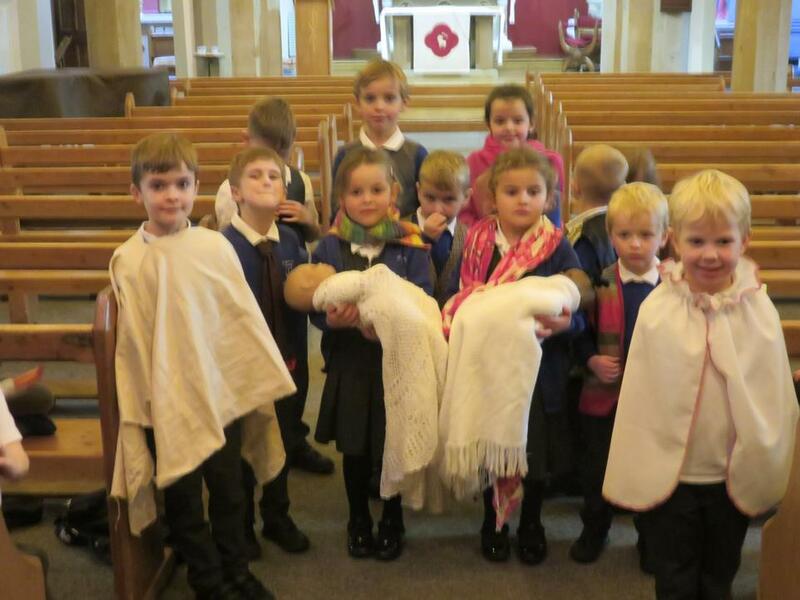 This included a visit to church to 'baptise' our class baby named Anne! 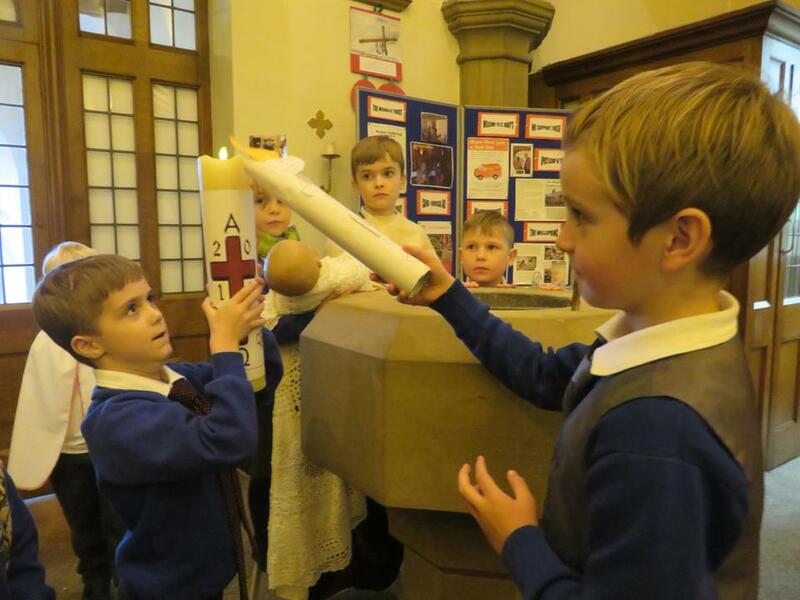 The children took on the roles of Parents, Godparents, extended family and our very own priest, Father Bobby! 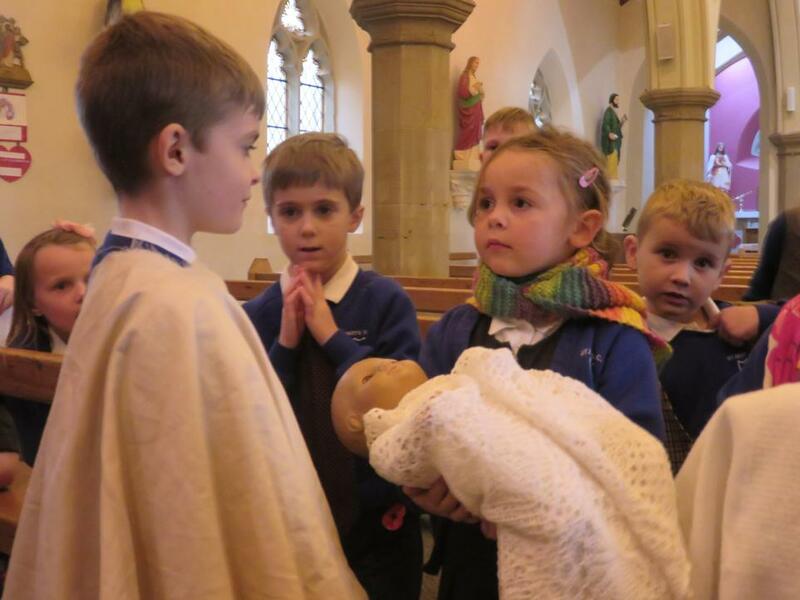 We later returned to school to celebrate Anne becoming a part of God's family, with juice, biscuits and fruit. 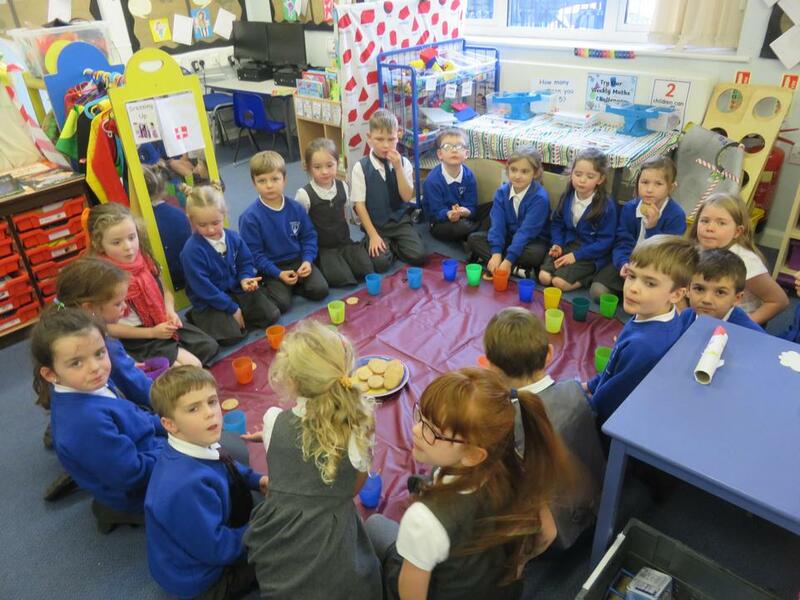 It was a wonderful celebration of our learning too.